Facebook Inc (NASDAQ:FB) seem to be branching out from its social networking niche into other areas, at least gradually. Taking a look at the company’s career listings will reveal that the social networking giant is gearing its hiring towards developing strength in diverse areas such as data centers, drones and satellites, and virtual reality goggles. In an interview with Reuters, which earlier reported of Facebook’s “hiring spree”, Facebook chief operating officer Sheryl Sandberg noted that the company’s business has expanded significantly. “Our users are growing and our business is growing and we want to support that,” she said. The direction towards virtual reality was actually started by the company with the $2 billion dollar acquisition of Oculus Rift earlier in March last year, in a move that intends to bring virtual reality to the mainstream through the start-up’s headset product. In a statement regarding the acquisition, Facebook Inc (NASDAQ:FB) CEO Mark Zuckerberg said that ”Oculus has the chance to create the most social platform ever, and change the way we work, play and communicate.” The company currently has 54 available jobs for Oculus alone. 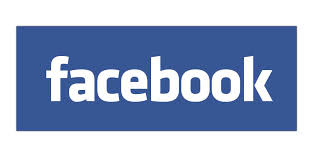 Reuters estimates that Facebook will add about 14 percent to its present employees in the near future. Aiming to attract top talents, Facebook Inc (NASDAQ:FB) is known for running hackathons, challenging its staff to generate new ideas that can be marketed as products in the near future. It also supported expansion by constructing a 500,000 square foot office infrastructure in Menlo Park, California, that can accommodate up to 3,000 employees, apart from refurbishing its Seattle office. “We’re growing as fast as we can, where the ‘can’ part is really a factor of how many people we can absorb while maintaining a strong culture,” Facebook engineering manager Paul Carduner told Reuters in an interview. Additionally, the company is also paying its employees generously, according to figures released just recently. In a data gathered by Glassdoor and reported by Business Insider, a research scientist working for Facebook Inc (NASDAQ:FB) is generally paid $172,705 annually in terms of salary and bonus. A network engineer on average makes $160,172, for the same period, while an engineering manager can earn as much as $380,861 in a year. The company is employing 8,348 full time staff as of September last year, way behind its rivals Google Inc (NASDAQ:GOOGL) and Microsoft Corporation (NASDAQ:MSFT), which employs about 55,000 and 127, 000 at the same period, respectively.